SANTA CLARA, CA July 2007 – To meet the ever-growing demand for online information, Watt Stopper/Legrand has created an e-Book encompassing its 2007/2008 Product Selection Guide. The convenient e-Book format gives customers quick and easy access to comprehensive information about energy-saving lighting controls. Specifiers, contractors and others are encouraged to tap this new resource for design and application guidelines as well as data on Watt Stopper/Legrand’s full line of products including occupancy sensors, lighting control panels, daylighting controls and more. The e-Book provides faster access to a large volume of information than alternative formats like web pages or downloadable PDF files. Navigation is simple and each catalog section can be immediately accessed by clicking a labeled tab. Links are provided from each section’s table of contents to specific pages, but pages can also be turned just as they would using a printed book. The e-Book is searchable, and customization options include the ability to create bookmarks and sticky notes. Selected pages of the e-Book may be printed and will appear as standard catalog pages rather than looking like a browser window. Readers wishing to share information can send colleagues a link to the whole publication or to a specific page within the e-Book. Users who prefer to work offline may download the document. Visit www.wattstopper.com for more information. July 24, 2007 — Lafayette, CO — Electronic Solutions, Inc. (ESI) today announces the release of a new line of motor controls utilizing Z-Wave technology, allowing for the simple integration of motorized products into Z-Wave wireless home control systems. The ESI “Plug & Play” Z-Wave motor controls enable consumers to control and monitor motorized window coverings through the Z-Wave standard. These powerful motor controls are interoperable with other Z-Wave enabled devices, providing an easy-to-implement solution to deliver increased comfort and convenience. Compatible with most 115VAC motors and with a DC version expected to launch this fall, ESI’s “Plug & Play” Z-Wave motor controls are the first available for this popular home control platform. Visit www.elec-solutions.com for more information. Assured Automation announces its new line of Resilient Seated Butterfly Valves. The ST valves offer high Cv (flow coefficients), ISO top mounting, one-piece body with self-centering disc and a large selection of direct mount actuators and gear operators. The ST butterfly valves are also available as a manual valve with limit switches for those applications that do not require automation but do require feedback to a PLC or network bus system. The valves are available in sizes 2″ through 12″ with a pressure rating up to 225 PSI and 14” thru 24” have a pressure rating up to 160 PSI. For more information contact Assured Automation by e-mail at info@assuredautomation.com or visit www.assuredautomation.com. Sensocon has expanded the pressure range offering of the Series A Digital Differential Pressure products to include a lower range of .25" w.c. and higher ranges of 40" and 50" of w.c. We have been making these ranges by special request and due to their popularity have made them standard ranges. 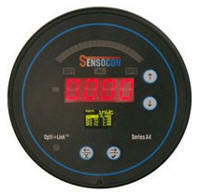 For more information on the Series A and other Sensocon products, visit our website at www.sensocon.com. The Series A family of products is a better alternative to mechanical gauges or controls as well as transmitters. Whether you are interested in upgrading the look of your product, improving the accuracy, adding features, or lowering cost there is a configuration of the Series A that can help. 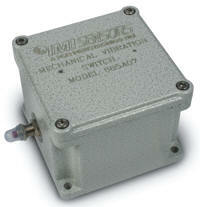 July 16, 2007, Depew, NY, USA – The new Model 685A07 Mechanical Vibration Switch from the IMI Sensors Division of PCB Piezotronics (PCB®) provides an economical solution for continuous vibration monitoring. It comes standard with an external pushbutton reset, and does not require power to operate. The switch uses a spring loaded, magnetically coupled sensor which can be externally adjusted for higher or lower sensitivity. This technology is particularly effective on cooling towers, fans, small motors or pumps, or any installation which requires immediate shutdown when increased vibration levels are present. Model 685A07 is a cost-effective approach for a first line of defense against catastrophic machinery failure. CSA certified explosion-proof versions with identical features are also available. 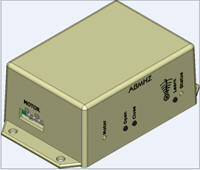 For detailed specifications, drawings, or additional information, please visit www.pcb.com.